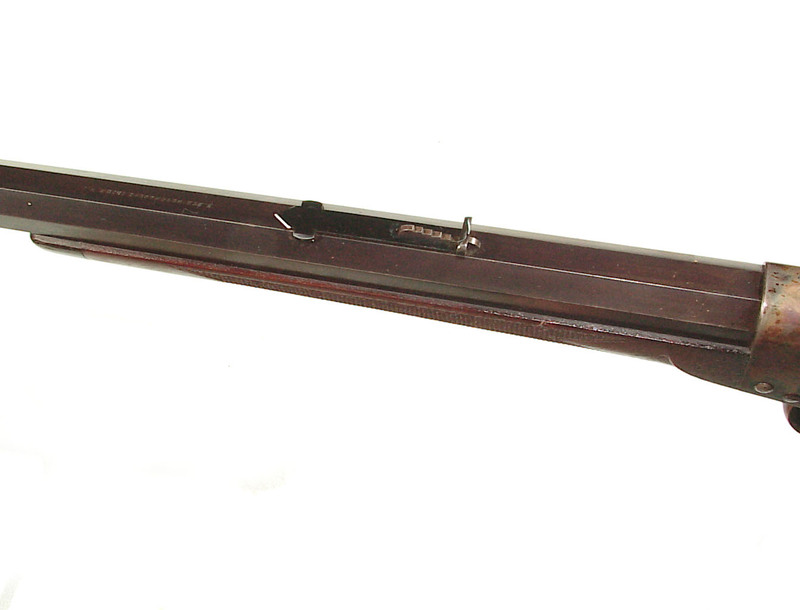 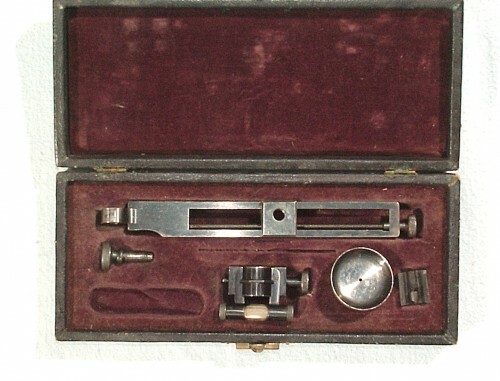 .44, 2-6/10″ caliber, 30″ full octagon barrel with windage express front sight. 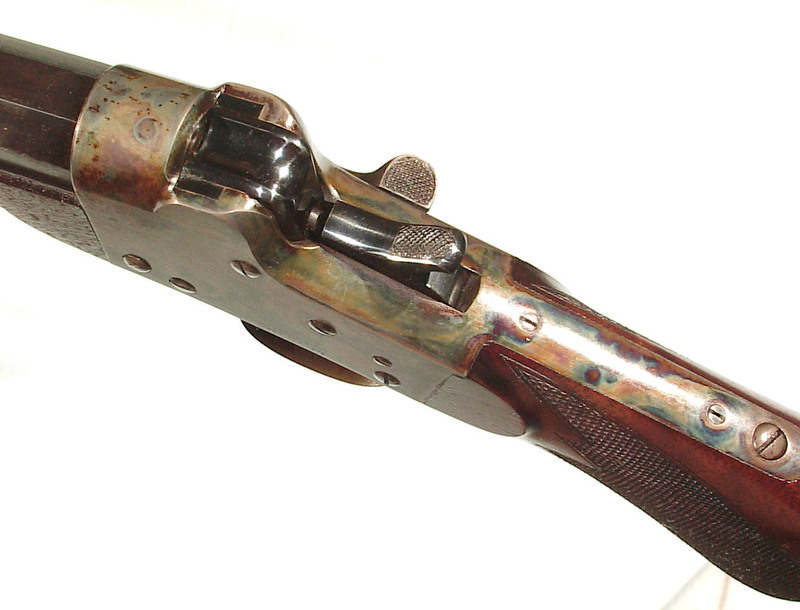 Casehardened falling block No. 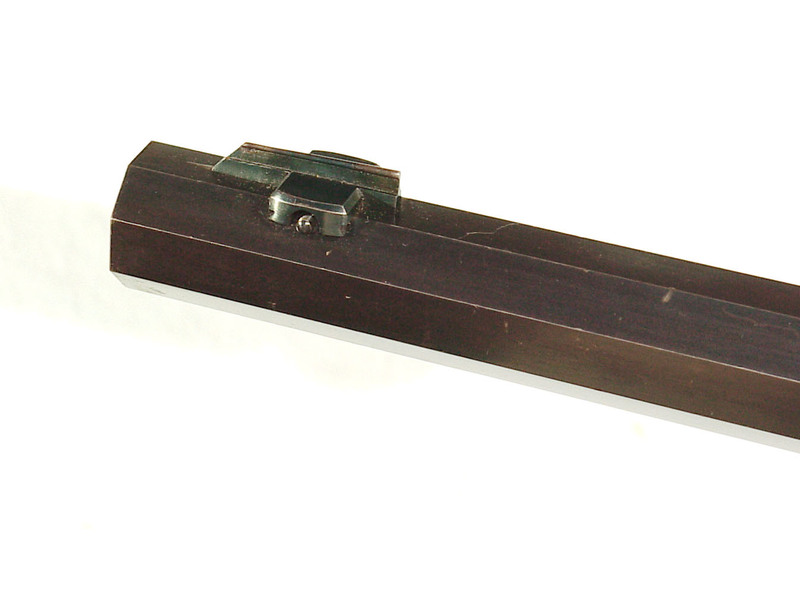 3 falling block action. 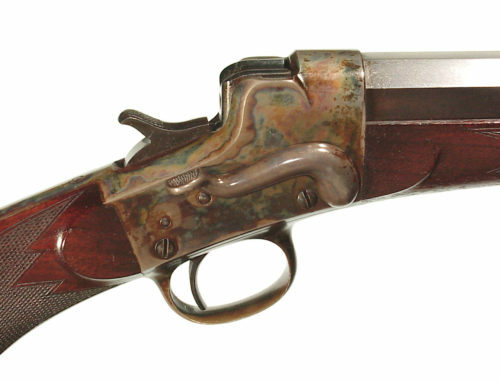 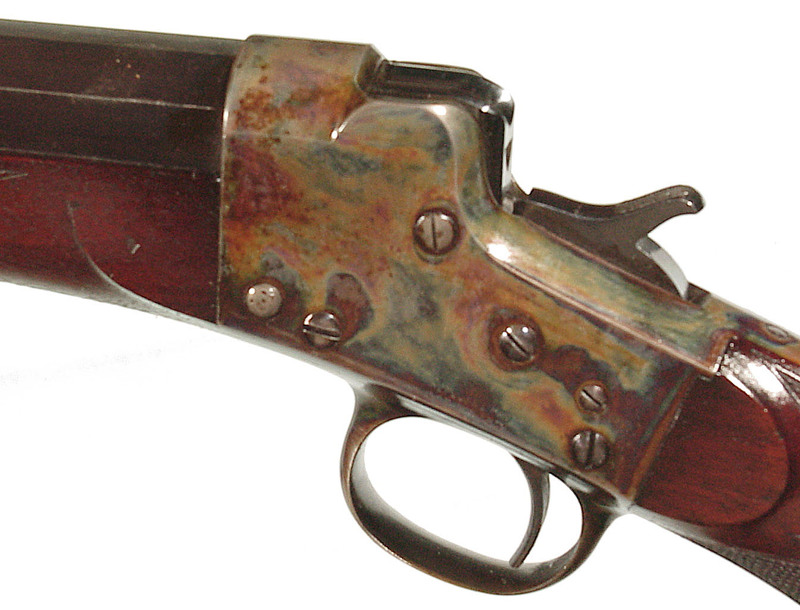 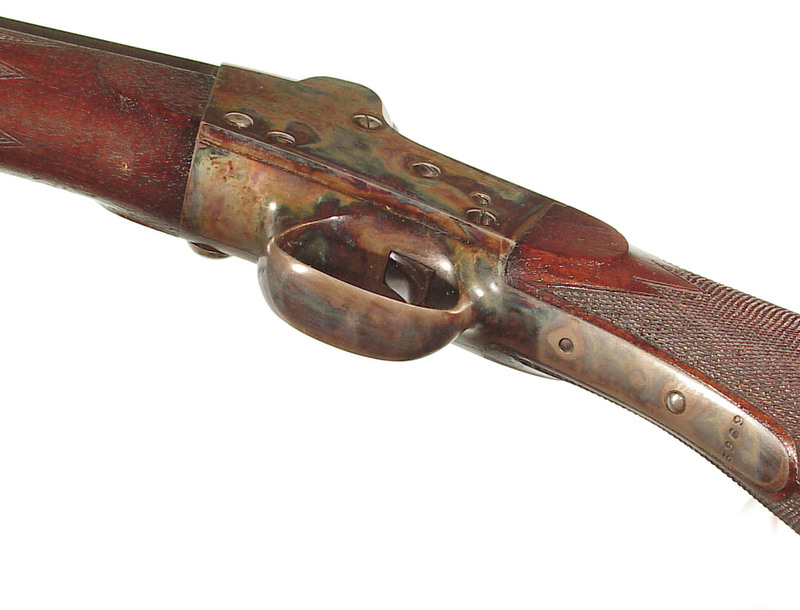 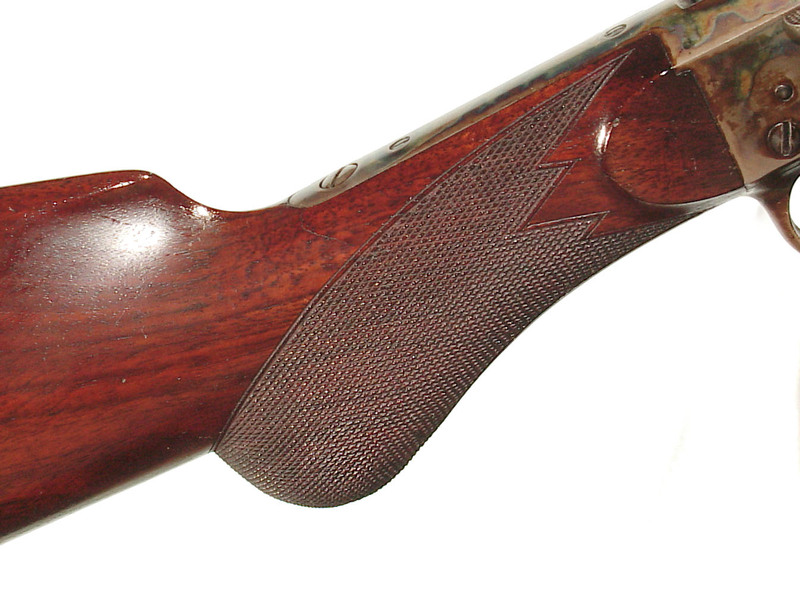 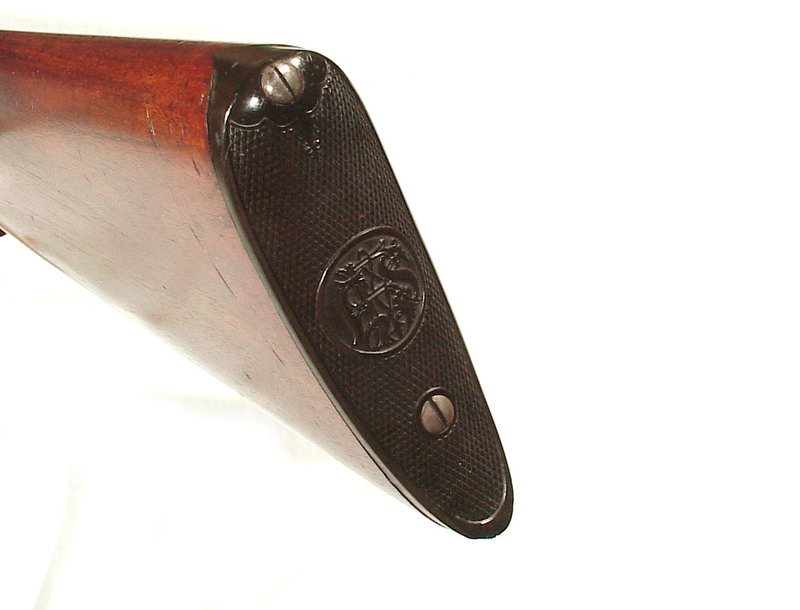 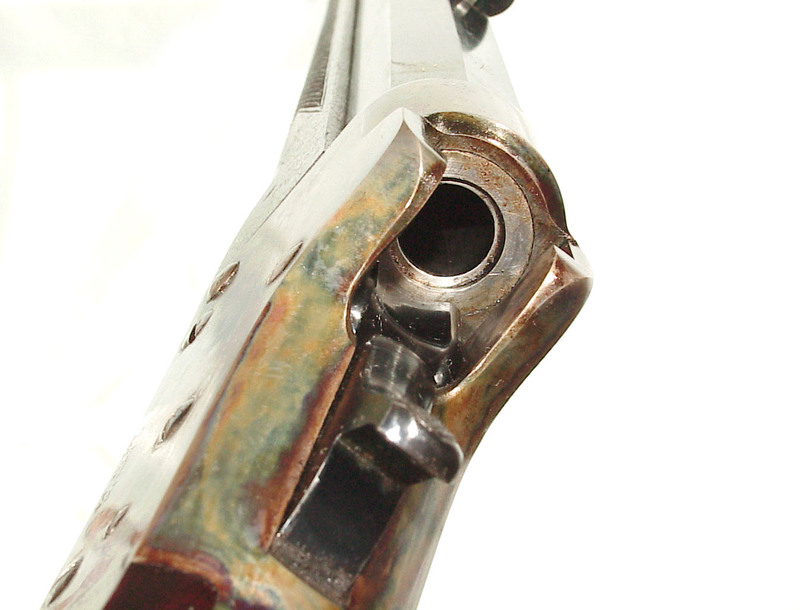 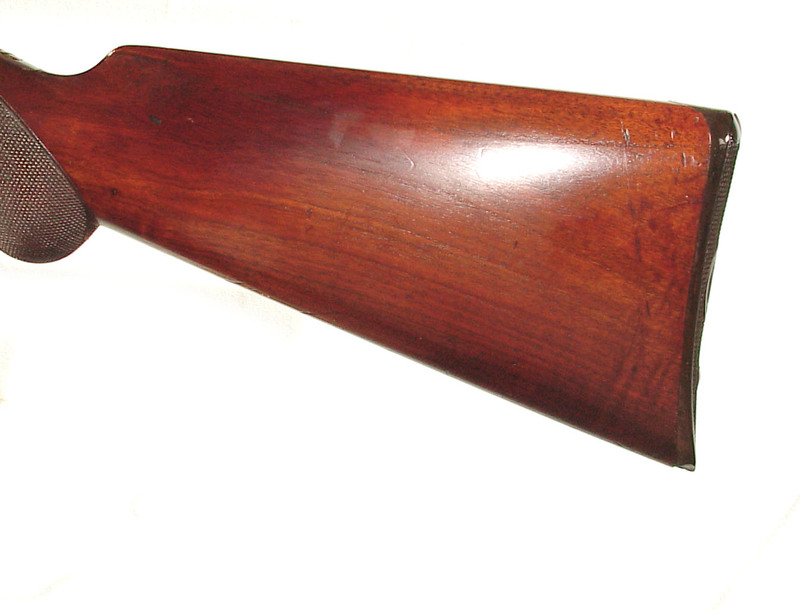 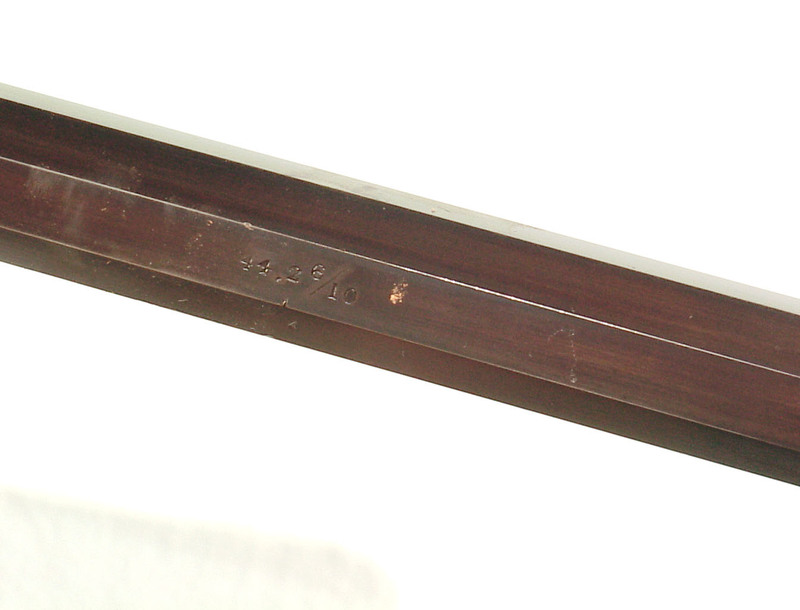 Deluxe checkered wood ending with a factory shotgun buttplate. 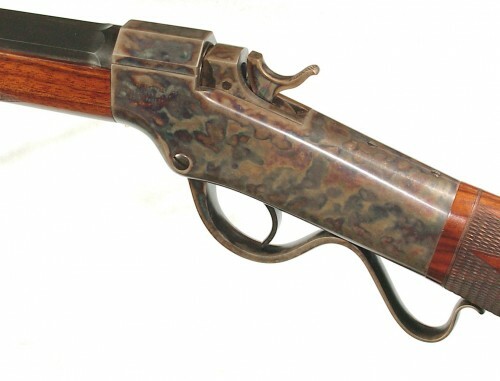 A very rare configuration sporting rifle in this large caliber. 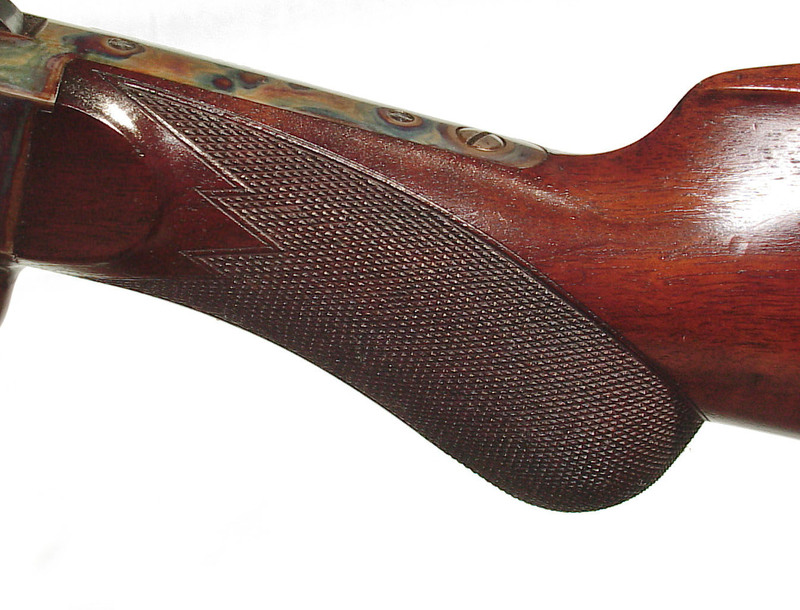 Retaining all of the original finish with mint bore and beautiful wood it appears little or unused. 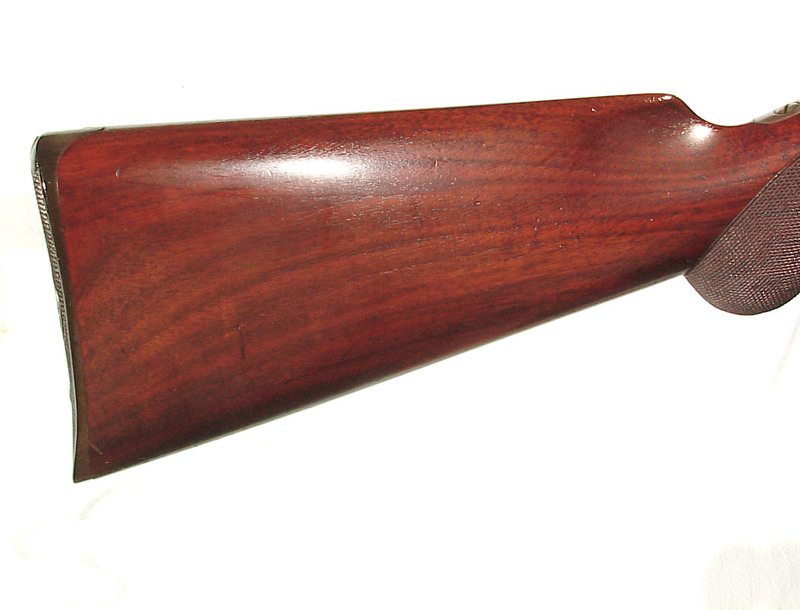 One of the finest rifles of this type known.